Since a long time female gamers have commonly been regarded as a minority, but industry surveys in the past few years have shown that in time the gender ratio has become closer to equal. As per a recent study*, 52% of gamers worldwide are in fact, women! You get to play games all day long, why else? Breaking the stereotype, our women game testers share, “We grew up playing video games. 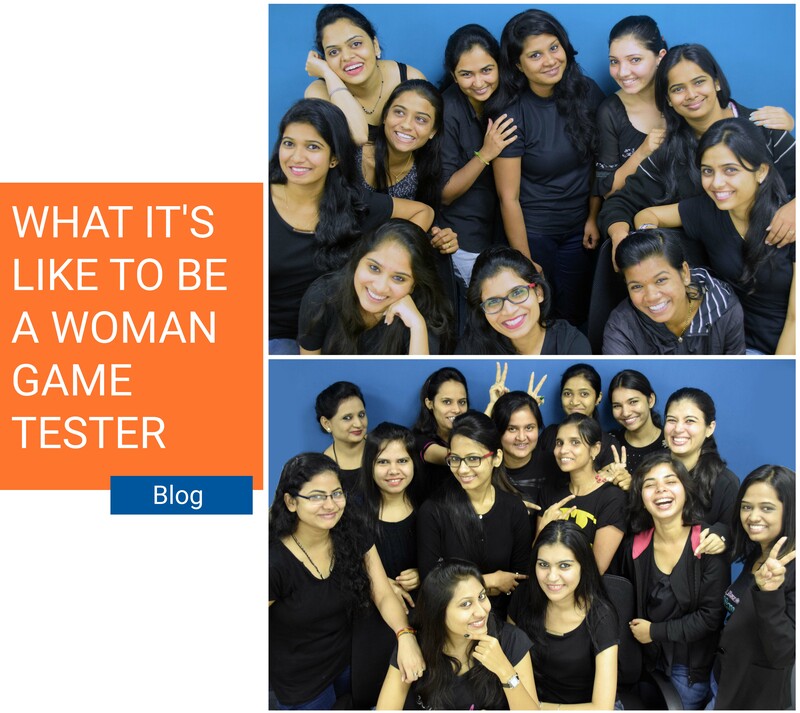 It has always been our passion.” One of the youngest girls from the group told us, “I was the only girl from my college in the Counter Strike team. Not only did I play the game but I won various Counter Strike inter-college tournaments with my team which btw was all boys!” Bravo! “That doesn’t mean women game testers don’t test Combat games. As a matter of fact, women can focus better in testing bugs related to navigation or sound compared to men in such games as men get influenced by storytelling in, women don’t.” How very interesting! This question had the most varied answers of all! From puzzle to role playing to strategic games, these ladies love them all. Their favorites include – Shin Megami Tensei which is a post-apocalyptic role-playing game, Clash of Clans which is a famous strategy game and 4 Pics 1 Word, a fascinating puzzle game. “The developers / publishers, GlobalStep works with, make some really interesting games and it’s obvious that we would like to continue to play them instead of just testing. Once we are done with our daily tasks, we hang around in the gaming-zone where we can play any of the released titles on any platform be it mobile, console, VR, PC etc.” Perks of being a game tester, eh? For a long time, video games have been designed keeping men in mind. Even with women making up the majority among games users, as characters / protagonists they are still mostly non-existent. From what we see with these intelligent women gamers around us, it’s time for the game designers and publishers to broaden the appeal of their games to both genders equally. More power to the girls! Brilliant piece! Great to see women being an active part of the games industry.